Did Foxconn Outfox and Outcon Wisconsin’s Scott Walker? I just turned in a resume for consideration, and while I was researching the company, I saw a photo of the employees. They looked young. Honestly, that doesn't bother me all that much. After all, I was high school teacher, so everyone looked young at that job. My friend told me that he likes his gray hair because others seem to respect him more at work. Of course, he's a social worker at a hospital, so maybe the gray hair keeps the young doctors from messing with him. Since I'm not sure I want to look quite as old as I am if I actually get an interview somewhere, I guess I have to address the gray hair in this week's male fashion and lifestyle blog entry. I've seen the ads for Just For Men shampoo. It's intriguing to me that you can just shampoo color into your hair. I bet it sells a lot, since men don't really want to deal with dying hair the old-fashioned way. I asked my wife to pick some of this shampoo up about a year ago, and she brought home the actual dye instead. While I was able to use the dye more times by not using the full amount, it still wasn't fun, and the results included dyed skin because I'm a guy. And a dyed sink that I had to scrub. Plus, the color was just a little too dark. And it made my hair feel like horse hair. And I had a sudden loss of some hair not too long after using it. Some guys complain that the shampoo also causes itching and hair loss. My main concern is that I can get dandruff, so if I use the dye/shampoo to get darker hair, is it just going to accentuate the dandruff I can't treat because I'm using it? I've actually used a product for some time called YouthHair. I had run out when I asked for the shampoo, and I don't love using it because of the smell--it makes my hair smell like an old man. However, I first used Youthhair when I was trying to fight away gray hair for my cousin's wedding, and that was 8 years ago. That means my first bottle lasted about six years, used sparingly. And it seemed to work, at least for me. I have fairly dark, brown hair. I think I've read that blondes can't really use it, or they at least have to deal with sudden darker areas. If I use it three times as much on the sides as on top, I'm usually good. And then I can stop for a couple weeks until more gray starts creeping in. It's not an instant color, and I woudn't say it works on all of the hairs, so you end up looking like someone who is probably going gray rather than someone who is gray or someone who would be gray without the dye job. After trying the actual dyes for one year, I decided to pick up another bottle of Youthhair. Maybe it won't last me several years this time, since there are more gray hairs than when I first tried it, but it quietly keeps me from looking as old as I would possibly look if I let nature do its thing. I just got friended on Facebook by a friend who went to high school with me, and he's got a big white beard and a lot of white on his head. It looks fine on him, and it would probably look good on me, too. Older and wiser, I guess. Plus, he doesn't have to worry about the chemicals in dyes and other products. However, looking at his hair alone, you'd figure he's a good five years my senior when I'm actually a year older. 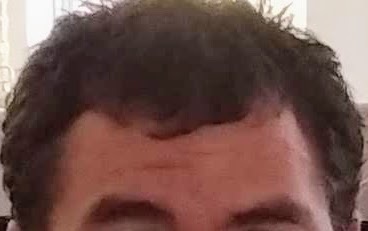 Bottom line is that I'd love to be the kind of guy who lets my head go gray or shaves it all off it I start going bald, but I actually kind of like my hair. Not enough to pay someone to cut it for me, but enough to keep it from going gray if I can. My kids' school created a pamphlet with a QR code that linked to the website, so I figured it could be useful to do the same thing when I bring in my resume to a job interview. Especially since I made a cool online resume that really looks a lot better than the printed kind. Plus, printing all that I've done over the last two decades would be a huge waste of paper (unless it gets me the job). 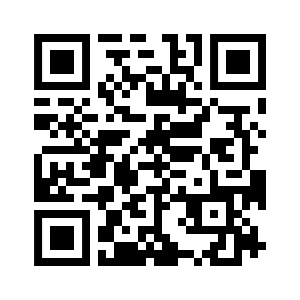 I wonder how many people in the average interview will know how to use the QR code. I didn't have the capability on my phone until last year, and it is kind of a gimmick, especially since you can usually just email links and whatnot. Then again, it's something different, and it might make me stand out a bit, so I'll print off the code along with some other important documents. I am sure plenty of people have used a QR code as part of their interviews, but I do think my online resume is pretty darn good, so it's more than a link to my Linkedin page. I suppose a link to a video of me would be even cooler, but that would mean making a video, and it's not like I'm trying to get a job as a videographer. Anyhow, feel free to use this idea as part of your next interview. Just like everyone started using student-written letters of recommendation after I introduced the idea back in 2002.
Who's Got My Back in Jacksonville? I've seen several political ads recently that focus on people who have the back of the police officers. I suppose that's a thing, but I am not a police officer (or a native of Jacksonville), so I'm kind of wondering who has my back as I settle in here. I assume JSO and JFRD have my back because it's their job. And all the military around here have my back in case Canada attacks. But I'm thinking about the everyday having my back kind of thing. In Milwaukee, I could count on some people, at least a little bit. Classmates from Milwaukee's John Marshall High School (91, 92, 93, and 94). Or Wilbur Wright Middle School (88, 89, 90). Or French Immersion school or 82nd Street School. Most of the people who might have my back in MKE are now cordial Facebook friends. Sure, our high school football team liked to say we went to war together and we were brothers for life an all that, but we're kind of distant cousins at this point, two decades since I've seen most of those old friends in person. That said, any meatheaded rivalries are now gone at least. I donated my time as a teacher at Menomonee Falls High School for 12 years, so there might be a few fellow teachers or former students who have my back. Then again, I didn't get a whole lot of love from many of the MFHS Indians back when I got laid off, so whatevs. People at church will have your back, generally, but it takes some time to build relationships. Same goes for fellow parents at your kids' school or new co-workers. Or new neighbors. I felt like my fellow baseball teammates in Wisconsin had my back when I played there, but that was also mostly the guys with whom I played for many years. Maybe it just takes a lot of time for people to really have your back, and you have to stay relatively injury-free. Family is forever, but I don't have any in jax. I bet that's fairly typical in this area with such a fast population growth in the area. Lots of new people without family, so probably a lot of us trying to figure out who has our backs, besides politicians, of course. Obviously, I have my immediate family, but that's a little different than the idea of someone having my back. Still, it's more than some folks might have. My wife's been fortunate enough to find a Meetup group with people who probably have her back. I have not found a good group to join myself, but that's one way to make new friends. Maybe not super close friends, though. I'm not sure. Meetups are hit-or-miss. Just like friendships. I guess I'm glad I'm not in a gang or anything, even though gang members have each others' backs. But the cops and politicians don't have their backs, which is good. I suppose we can all relate to the appeal, especially if you grew up thinking no one had your back. I hope all people in Jacksonville find the connections that make them feel safe without having to join a gang, call the police, or vote for someone. That's my goal, anyway. I saw that the Curling Club of Jacksonville members were working out? on the ice recently, and the news story indicated that an Olympic win in the sport? has led to interest being at an all-time high. So there are literally hundreds of Americans interested in curling. But being from Wisconsin, I know a thing or two about ice-related activities, and I kind of wonder why curling would be taking off nationwide when there are several other ways to have fun on or with the ice. Curling is kind of a version of shuffleboard or lawn bowling created for winter months in cold countries/states. People in Jacksonville never have to worry about coming up with something to do on the ice. We've got all kinds of ponds, and lakes but I assume they have not been frozen since the last ice age. Not the movie, the real thing, like 15,000 years ago. Assuming that more people are interested in curling than ever before, there must be hundreds of people nationwide doing it. That's cool and all, but people from Jacksonville probably don't understand that ice is really made for other, more interesting endeavors. Testing the ice is an age-old activity on Wisconsin lakes and ponds. It takes a steady foot, as you walk gingerly across the ice, trying to determine if it's strong enough to hold your weight. If one foot goes through, you lose, and you have to go back into the cabin to warm up. If your whole body goes in, your friend should slide a boat over to you. When you really want a challenge, you can test the ice on a river. Ice fishing is another activity that is loved by people in northern climates. Once the ice is strong enough, you drag a little shack or tent onto the ice, drill a hole, and then go fishing. It involves something called a "tip-up" as well, but I'm no angler, so I'm not all that clear on equipment. Apparently, it's a great way to get away from your wife, since no woman in her right mind wants to freeze in a tiny shack on the ice. Beer can be kept cold outside the tiny building, and I believe a propane heater is often used on the inside. Sure, there's a chance you'll melt all the ice if you fall asleep with the heater on, but that rarely happens. People on snowmobiles also enjoy speeding across half-frozen lakes. A snowmobile is like a motorcycle made to go on the snow It's natural enemies include barbed wire fencing, trees, alcohol, and lightly-frozen water. If you think it's insane to travel at 100 mph on snow and ice, you are correct. Some people like to go ice skating on lakes and ponds, but it really foes get cold in a hurry on a larger lake, and the water doesn't really freeze as uniformly as one might think. There are no zambonis on these lakes, so once the ice gets torn up, it kind of stays that way. I've never seen an actual game of ice hockey on a pond or lake in Wisconsin. That's probably something people do more in Minnesota and Canada. When the ice is a little more solid, it's time to drive your pickup on the frozen water. Nothing makes you feel more like a man than driving your 5,000 pound vehicle on water. Doing so gives you the ability to drag an even bigger shack even further onto a lake. And when you run out of beer, you can just drive to the liquor store. Sure, several trucks fall through the ice each year, but that's all part of the challenge. Another pastime that occurs on or near frozen bodies of water is playing cribbage. It's a confusing card game with a board and pegs. There are some drinking rules built into the game, but every card game is a drinking game in Wisconsin. The problem with drinking alcohol while playing cribbage is that the game itself involves simple math, and that math gets harder and harder as the night goes on. By the end of the third game, it's like you're playing some kind of calculus game with Pythagoras. People also create their own ice up North. Many communities have some kind of ice sculpting competition. Probably like sand sculpting here, except cold. That's kind of the point, though. Everything is cold outside in the winter months back in Wisconsin, so you figure out something to do. It's just that no one I ever knew seemed to want to go curling, and I probably would have turned them down, anyhow. It seems that most ice-related activities have a lot to do with drinking and unreasonable risk. Curling doesn't generally involve either of these, so it's not terribly enticing to most ice adventure-seekers. That said, you can do it on the ice in Jacksonville, unlike some of the other activities mentioned above. If you're from somewhere north of here and miss the ice enough, you might take up curling. I won't be doing so myself, but I also won't be ice fishing or flying around at 100 mph on snow. The last time I wrote an article about JAXEX being accused of being a bad neighbor, my website broke because I tried to embed the flight map. I am hoping it does not do that again, and it's really kind of mean-spirited of the flight tracking company to NOT allow embedding, and also to have a 10 minute delay. When I get angry about an airplane flying over when I'm trying to enjoy a midday cocktail, I don't want to have to wait 10 minutes in order to see which plane it was. In fact, I'll probably never do that, which JAXEX knows. I've already covered the noise in my area because of Craig Airport. The folks there were true to their word that the noise abatement system would be replaced, but it's at a time when new flights are being added for rich execs who don't live in my neighborhood. Anyhow, if you want to complain, feel free. I am sure your complaint will be tallied, analyzed, and filed for the next decade in order to recommend a new flight path or rules that are actually followed by pilots at some point in the next quarter-century. I guess the timing of the new desire to add to the runways coinciding with a new UPS facility going in a few miles down the road is purely coincidence. Jacksonville just made the Top 10 in some list of places to retire. The only problem is that the city isn't really in the Top 1000 for people who are actually looking to retire, so maybe it's time New Jax Witty works on putting together a local guide for folks who no longer have to work. I'm not some kind of Jacksonville lifer who knows all the ins and outs of life in Northeast Florida. You'll want to identify some of these people, maybe who attend your church of choice, to help with some of the important decisions, like where to get your dog groomed. I'll keep this more basic so that it helps you understand why Jacksonville made the list of top places to retire and whether or not it's right for you. The difference in Jacksonville compared to an expensive retirement community is that you won't have a network of people organizing activities and actively supporting your forever spring break, so you'll have to figure out what works for you and how to achieve retirement bliss on your own. This isn't Miami. Three months over 90, and a lot of 80s as highs. Perfect weather in late fall and early spring. A winter that will freeze (just barely) a dozen times or so overnight. Unless you're from California, you'll recognize the curve. It was the same kind of deal when our family moved from Milwaukee to Kansas City. If you can stand three months in the 90s or plan on snowbirding, it's a great climate. If you want to shovel a few times but get fewer months of cold, then try the line from KC over to Virginia. A friend of ours retired to Tennessee from Jax because he wanted all four seasons. I personally like it better here than in Wisconsin for a good portion of the year, especially in winter. And if you're retired with a condo, you won't have to mow your grass in the summer, which is pretty much as bad as the snowblowing I had to do in Milwaukee. Northeast Florida is cheaper than Southeast Florida for retiring, at least when it comes to housing. And especially if we’re talking Jacksonville itself as opposed to St. Johns County. You can get a place in Nocatee or World Golf Village, but then you’re paying for all the fanciness without being in The Villages or Miami. Jacksonville’s neighborhoods are diverse enough that you can find whatever it is you want, whether it’s a waterfront property or a large lot for your RV or a condo. That said, it’s still one of the youngest cities in the state (there’s a large military presence), so there will be kids around. If you’re good with living in a normal neighborhood rather than a designated retirement community, then the money you need to buy into Jacksonville is lower than places that advertise themselves as places to retire. If the ocean matters to you, Jacksonville has nice beaches. They are not special, but they exist. You won’t find beaches in Orlando or The Villages. 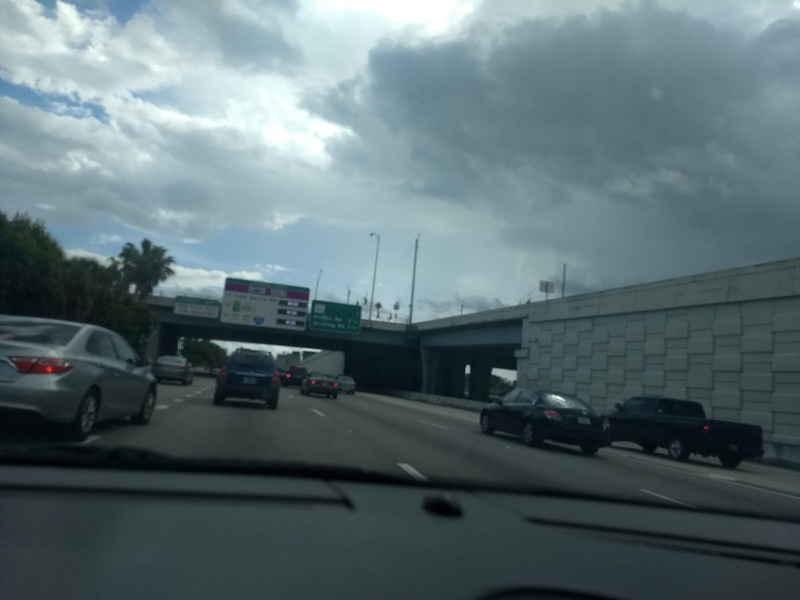 You can buy a trailer home in Central Florida for $10,000 and shoot at bottles in the woods, but you can’t go to the beach without driving half the day. Jacksonville’s only had a handful of hurricanes hit over the years, and retired folks can just drive to safety for the week when one does come around. 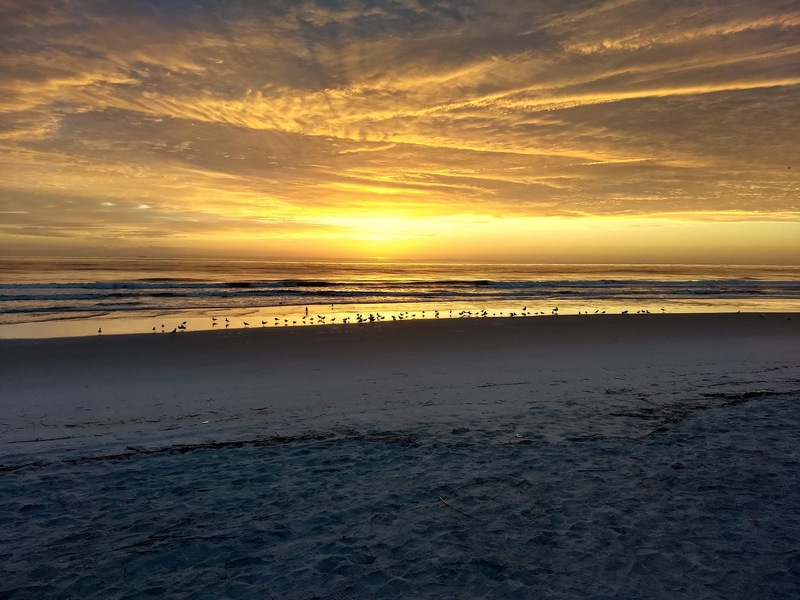 During the work week, you can meander on the beach all day with only a few other people, since Jacksonville simply is not yet the tourist destination of other cities in Florida. The area along the river isn’t as refined as downtown river walks in other cities, but it’s also not something you’d get a chance to experience in smaller towns. Near the aforementioned river walk, you’ll find art and theatreoptions, along with sports and museums. This is a real city with a population nearing 1 million, so there’s some culture to be had. Minor league and way off Broadway, to be sure, but a lot of it is fairly affordable. And it’s better than watching the retirement community pickleball championships. From what I can tell, the top high school football and soccer teams come from this part of the state, so you could always attend one of those games, too. You could even audit a class at one of the local colleges. Because it’s a large metro area, you’ll get decent shopping and dining options when compared to planned retirement communities. The biggest problem I have with crime in Jacksonville is that it’s not as relegated to a certain part of town like it was in Milwaukee. The crime rate isn’t really any higher than any other large city, but even the parts of the city that feel like the suburbs experience crime. Granted, the crime on my side of town tends to be unlocked cars getting rummaged through and porch piracy. The point here is that retirees should not have to feel like it’s unsafe in their retirement community. The city is working to improve the crime numbers, mostly to get re-elected, and there are plenty of gated communities, but you still have to venture out to the Walmart parking lot every now and again. In my area of Jacksonville, it seems crime is less east of the 295 towards the Intracoastal and beaches. If you’re from a typically-segregated Rust Belt city, you will notice the difference in Jacksonville. If that bothers you, then The Villages in the whitest place in America. More than likely, some of your best friends are Black. I think that’s great. In Jacksonville, you’ll also be able to live right next door to that best best friend of color. If you’d rather just be best friends with that person on Facebook and not next door, then St. Johns or Clay might be better for you. We’ve got a Mayo Clinic here. That might be enough for some retirees. Besides that, Baptist Health has been adequate. However, it seems like our doctors have a lot of conflicts, possibly with tee times, so be prepared for rescheduled appointments. That’s not a huge deal for retired folks, I suppose. Jacksonville also spent a lot of money adding ADA sidewalks, even though there’s really no place to walk to in such a vast city. The Jim Fortuna Senior Center is in Ed Austin Park, very close to where I live. I probably have to wait a few years to use it, but the Google reviews are good. You also have all kinds of golf courses on this side of town. Some of these golf courses would be for members only, while others allow anyone to play, so check that out. Within 30 minutes of my house: Hidden Hills, Blue Sky, Queen’s Harbour, Atlantic Beach CC, Jacksonville Beach CC, Jacksonville Golf and CC, UNF Golf Complex, Glen Kernan Golf and CC, Windsor Parke, Deerwood, Pablo Creek Club, Marsh Landing CC, and someplace called TPC Sawgrass. If you don’t like golf or places with an extra “u” in harbor or an extra “e” in park, then Jacksonville has real libraries and whatnot. You can also babysit someone’s kid in your condo unit. Since it’s a real city, you can develop community rather than have a program director create it for you. Use Nextdoor or Meetup. There are plenty of real volunteer opportunities in the area that can make a real difference in the lives of your neighbors, too. I know The Golden Girls was supposed to be in Miami, and there are plenty of retirees down there, but there are also all kinds of liberals in that area. If you’re a Conservative who likes to spout off at the mouth, Jacksonville is a safer place to do that than any other large city in Florida. In fact, in 2015, Jacksonville ranked as the 5th most conservative city in the nation, behind Colorado Springs, Virginia Beach, Oklahoma City, and Mesa. It’s an especially wonderful city for retired military, since we appreciate both those who serve and who have served. Wear your MAGA hat and slap an American flag sticker on your car. However, you do have to realize that there are still some liberals in Jacksonville, so it’s not a free-for-all. Crime is #1. Similarly, there are plenty of scammers in every part of Florida, as it’s kind of a weekend job for most Floridians. The city isn’t walkable at all. The summers are very hot. But it’s 85 degrees in February as I write this, with snow or ice in 42 of the 50 states. If you’re looking to retire to an area that has all the amenities you’ve come to expect living near a large city, then in or near Jacksonville is a good choice. Transfer that residency to save on state income taxes. Home prices are rising fast, so it might be time to get in before it’s too late. Here’s a realtor who sometimes reads this blog and can help you (especially vets)--be sure to say New Jax Witty sent you. I also know two realtors from my church who can help if you contact me.